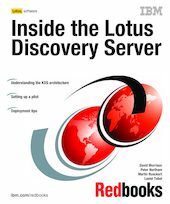 In this IBM Redbooks publication, we describe how to set up a successful Discovery Server implementation in an organization. We show you how to begin the project by looking at and sorting through the information you already have, how to install a pilot system you can use to learn how Discovery Server works with your information, and how to design your system to work effectively across multiple servers. We also touch on how this complex product works under the covers. The Discovery Server extracts, analyzes and categorizes structured and unstructured information, revealing the relationships between content, people, topics and user activity in an organization. It automatically generates and maintains a Knowledge map (K-map) to display relevant content categories and their appropriate hierarchical mapping, which can easily be searched or browsed by users. It also generates and maintains user profiles and tracks relevant end-user activities, identifying individuals who may be subject matter experts. The Discovery Server uncovers organizational know-how.